A pedestrian was struck and killed in Horsham, Pa.
HORSHAM, Pa. (WPVI) -- Police have identified the pedestrian struck and killed by a car in Horsham, Montgomery County. The crash happened around 10:30 p.m. Wednesday on Easton Road (Route 611) at Ruth Avenue. 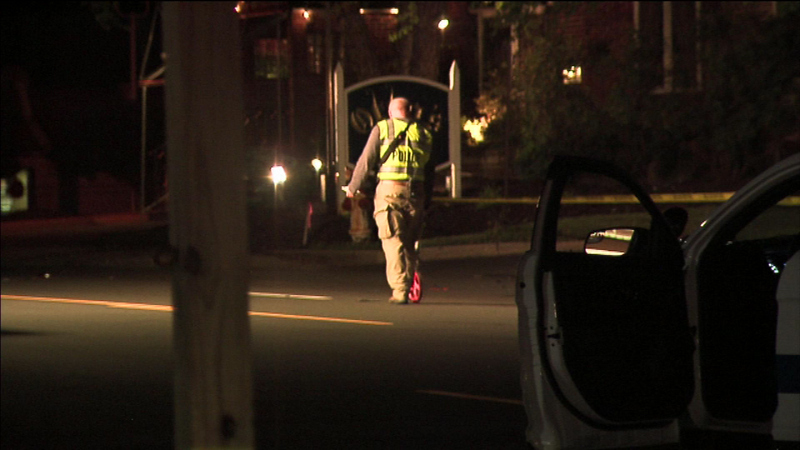 Police say a driver struck and killed a pedestrian in Horsham, Montgomery County. The victim, 35-year-old Eric Reid, was pronounced dead at the crash site. Police say the driver was traveling south when his vehicle struck Reid, who was in the roadway. Officers roped off the scene to investigate the accident. The driver remained at the scene to talk to police. No word on what caused the crash or if the driver will be charged with a crime.